The custom form module allows you to create a form in your sidebar with whatever fields you like. You can choose what to ask, how to ask, whether certain fields are required, and how your form looks. It’s all up to you. This module is perfect for controlling exactly what information you ask for from your users, and is great for things like booking demos, custom support forms or just asking for feedback. You can select to have the results emailed to you, or sent to a webhook. How to Setup a Custom Form. Head to 'Modules' in the left hand panel. From here, click on ‘Add to Assistant’ for the custom form module. On the form management screen you can do two things. Firstly, you can create your form and secondly, you can choose where form responses go. 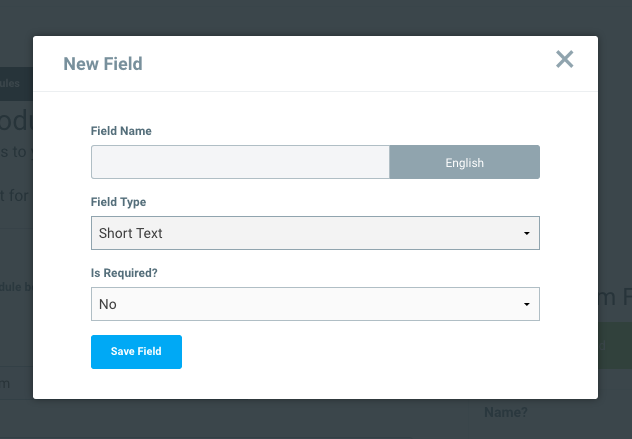 To add fields to your newly created form, hit the button that says ‘Add field to form’. 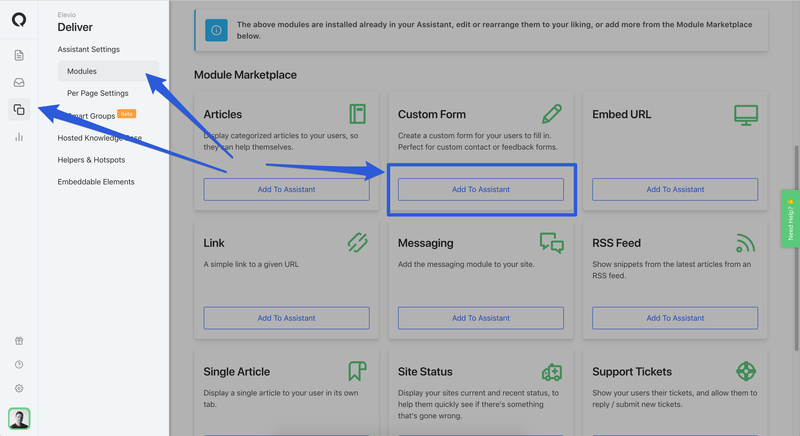 This will open up the form field editor, and from here you you can enter the field name (the question you want asked), how big you want the answer box to be, and whether that answer is required. Once you hit ‘save field’ the field is added to your form. After you have finished your form, simply select where you want responses to your form to be sent as well as a few other little options, then your form is ready to go! To set up auto fill for first name, last name, or email, see passing user data here.